BERLIN -- Volkswagen Group will make its VW, Skoda and Seat brands more distinct to reduce overlaps and defuse tensions within the group. 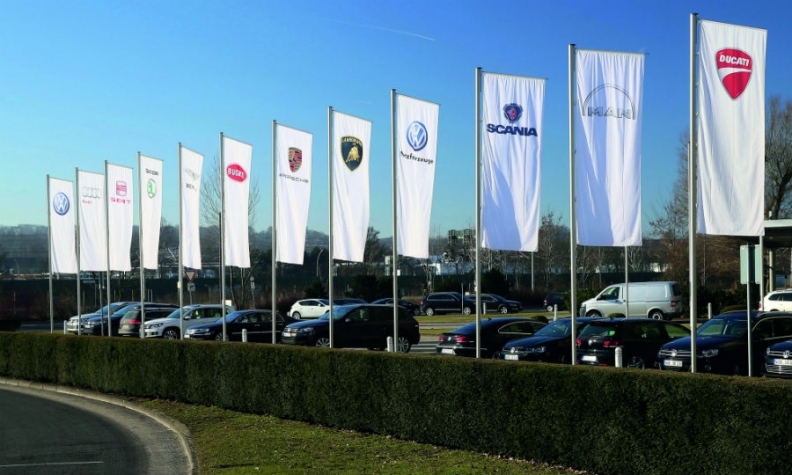 VW Group CEO Matthias Mueller said the automaker's executive board had set out a new focus for the three mass-market brands in its core European market based on 14 customer groups. "The key challenge is (to achieve) a perfect market coverage with clear territories for the brands," Mueller told a strategy meeting of about 400 managers in Wolfsburg on Thursday. "We must now be able to better use the synergies that our unique alliance of brands offer than we have done to date." The move may help to smooth relations between the brands. VW brand sources told Reuters last week that managers and unions were seeking to curb competition from lower-cost stablemate Skoda, move some of its production to Germany and make the Czech brand pay more for shared technology. That sparked at backlash at Skoda. Concerned about the possibility of losing work to Germany, Skoda's main union threatened to cut back on overtime work. Czech Prime Minister Bohuslav Sobotka also demanded talks on the issue with Skoda's leadership. The positioning of the brands is "an emotional theme that recently made waves," Mueller said. "Of course, it is an extreme challenge sometimes to steer this tanker and to balance the (different) interests," he said. In a next step, VW Group will pursue greater differentiation between its premium brands and expand the strategy to other regions, Mueller said, without being more specific. Separately, Mueller said the group expected to make major savings in development costs at Audi and Porsche through their new shared PPE production platform for electric cars. "On balance we expect 30 percent less workload" compared with the current MLB and MSB platforms operated separately by Audi and Porsche, he said, without being more specific. VW Group is striving to make savings and become more efficient to help fund a costly shift to electric vehicles in the wake of its diesel emissions scandal.